Old College Lawn Tennis and Croquet Club is a friendly and inclusive tennis and croquet club with excellent facilities based in the heart of Dulwich Village. The club caters to all standards of junior and adult players from beginners to competitive match players. 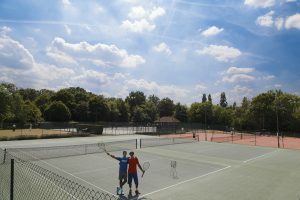 Facilities include seven floodlit tennis courts (three hard courts, four artificial clay courts) and a Golf croquet lawn. Old College offers a full range of club sessions designed to suit all levels from beginner to team players. 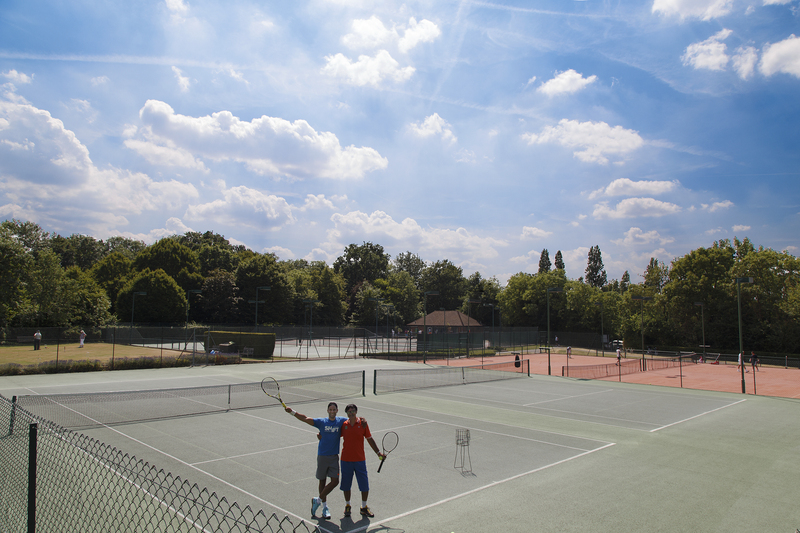 High quality tennis coaching for all ages and levels is provided by our experienced resident coaching team. From 1884 to 1917 the Club was called Dulwich Tennis Club and changed its name to Old College after the First World War. In 1908 our Club is listed in the Surrey LTA handbook, along with two other nearby Clubs – Dulwich Park and Dulwich Farm: the latter was to fold over the next years and our Club (still called Dulwich Lawn Tennis Club) took in some of the gentleman members. The Club had a good relationship with Dulwich College and this was cemented further by the then Master, A.H. Gilkes, agreeing to become President. This tradition continued until well into the 1980’s when the Master of Dulwich College was often the Old College President. In 1917 an Extraordinary Meeting was held at 34 Alleyn Park to discuss the implications of the War: Mr Duché was Chairman at the time. It was agreed that the Club could not carry on its activities and on 7 December 1917 to ask the Governors to accept the termination of lease upon payment of a final rent of £7 10s 0d, but to leave the Pavilion in place for the future. At the end of the War, at a meeting on 6th October, 1920, the Club came back into existence on the same site as the now defunct Dulwich Lawn Tennis Club. The President, who chaired meetings, was Mr George Smith, Master of Dulwich College, and this may be why the Club took the name “Old College”. March 30th was the official opening date of the 1921 season when many members were present and was also the inauguration day of Club tournaments: there were several events. We have a record of the Ladies, Mixed and Mens Doubles winners and also the Ladies Singles winner, Miss Blomfield-Smith, whose name is engraved on the silver cup still in our possession. In 1927 the Juniors won the Surrey Mens Cup, and the Streatham Cup was played at Old College. Mr R. Fairbairns went on to become a Surrey County Councillor in 1928. There are several mentions of croquet being played at the Club during the early years and these and the rest of the archives are being studied by a small group of current Members. Croquet was played on a wider scale from the 1950’s on the lawn which is still in use today.